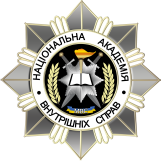 Head of the Center – Valerii Fatieiev. Leading Specialist – Leonid Taborov. - document confirming the payment. A payment of travel documents to the place of studies and back, a residence in hotels are conducted by listeners for the personal funds. The term of educating is 6-8 days for training and 2-3 days for retraining. His legal representative carries out.